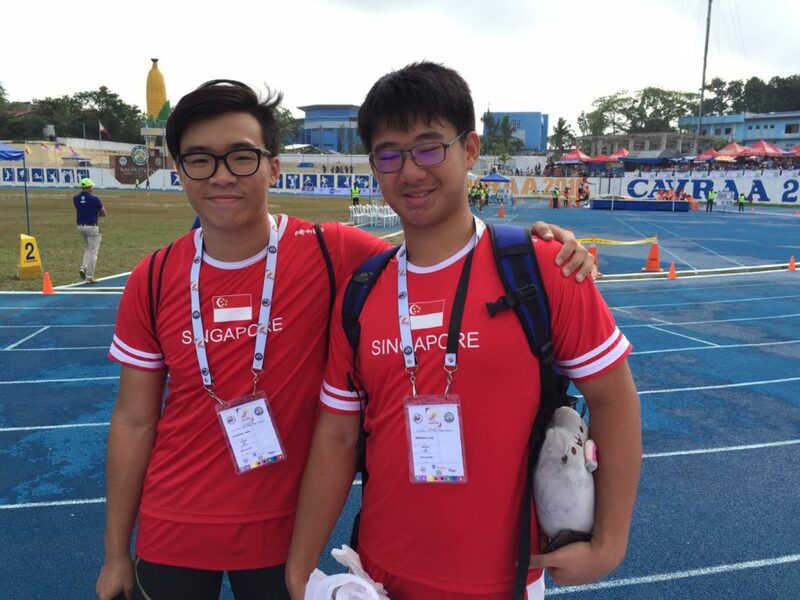 Team Singapore total haul is 14 medals. 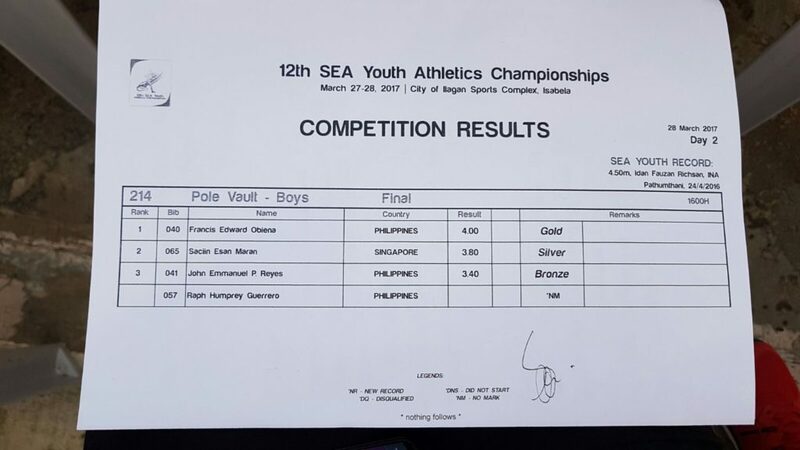 2 gold, 7 silver and 5 bronze. 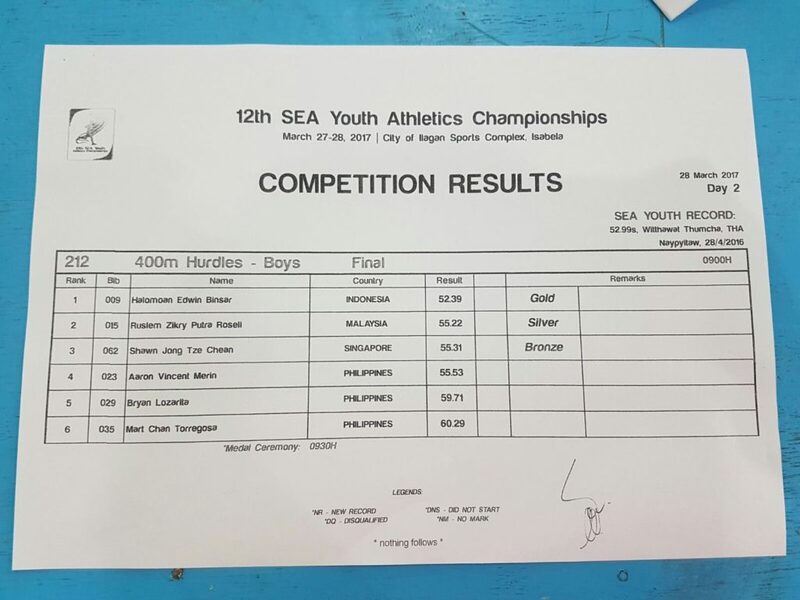 Gold medal by Wei Guan Chong (Lane 5) in the 110mH 0.914m boys final at SEA Youth with a timing of 14.33s 0.5m/s. 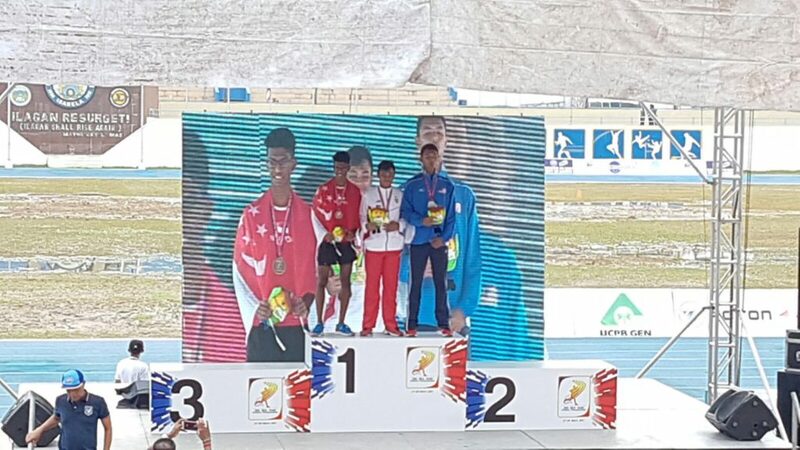 Tia Louise Rozario gold medal in the long jump girls final at SEA Youth with an effort of 5.85m 0.2m/s. 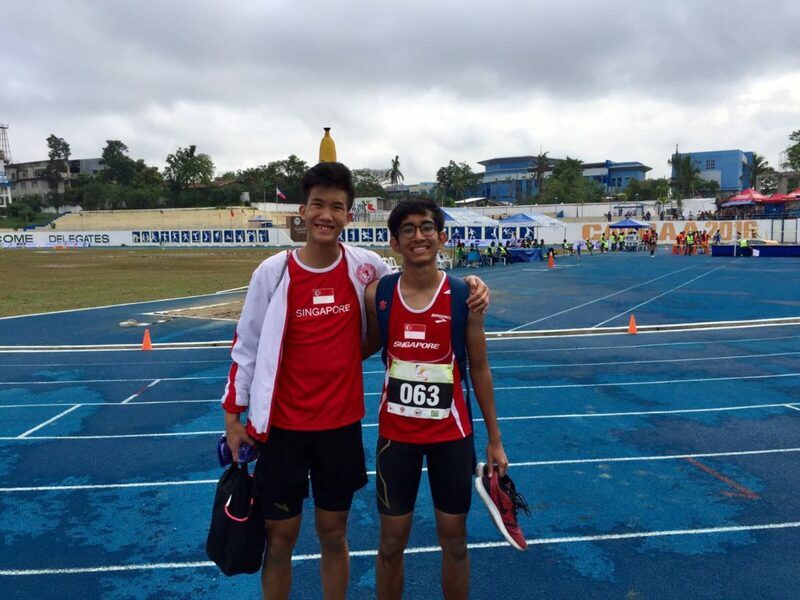 Another silver for Singapore at SEA Youth in the 800m boys event by Thiruben Thanarajan (Right of photo), 1:57.07 PB. 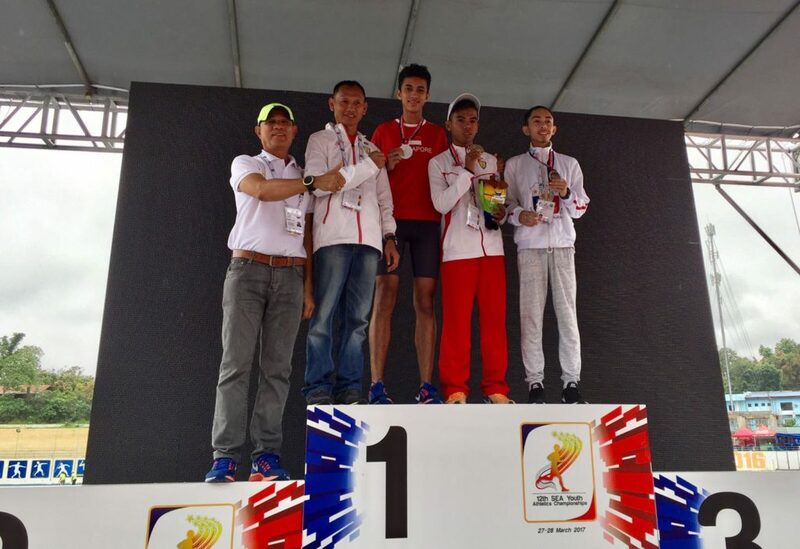 Silver for Singapore at SEA Youth in the 3000m boys event by Syed Hussein Aljunied, 9:10.98 PB. 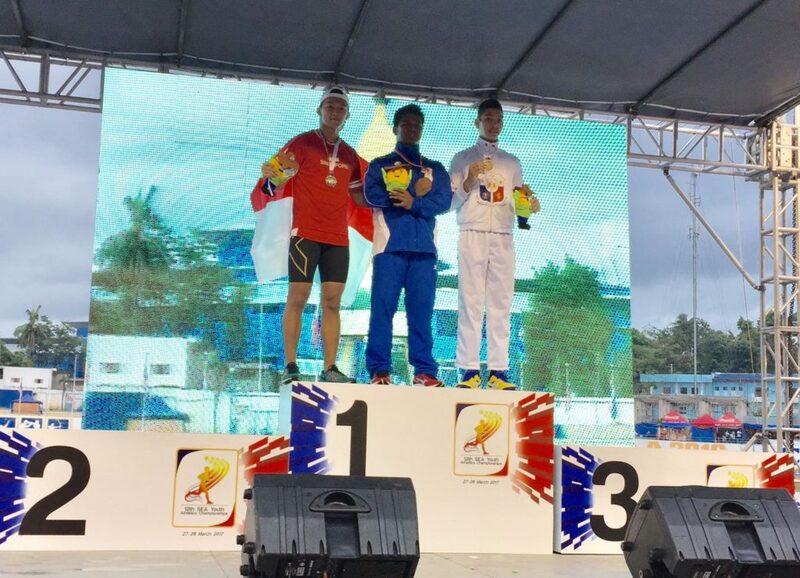 Silver medal by Sacin Esan Maran (3.80m) in the boys pole vault. 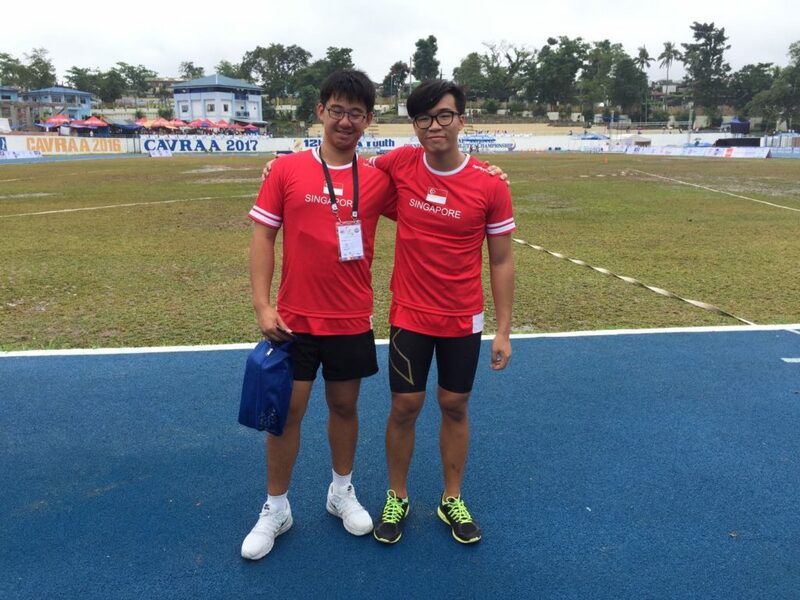 Silver medal by Ernest Ong (13.76m 0.9m/s) in the boys triple jump and bronze medal by Arfan bin Azhar (13.70m 1.2m/s). 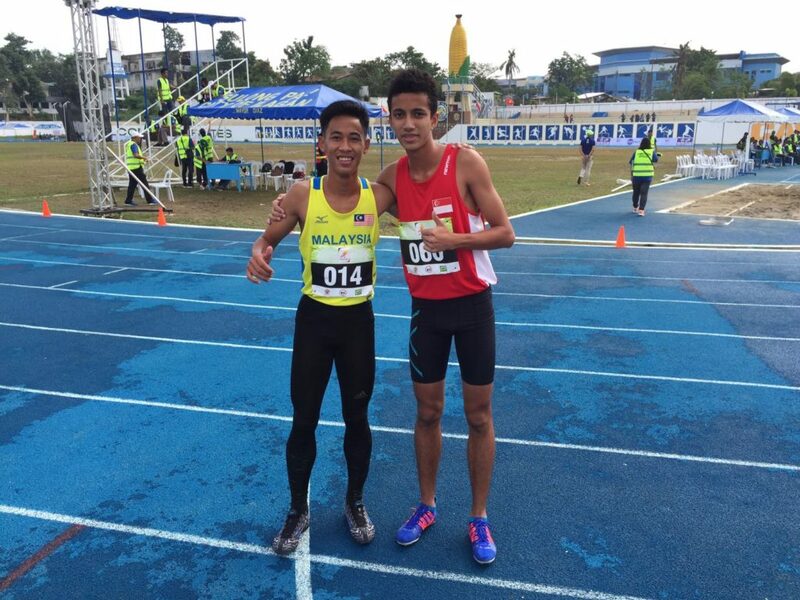 Silver medal by Syed Hussein Aljunied (1500m boys, 4:11.73). 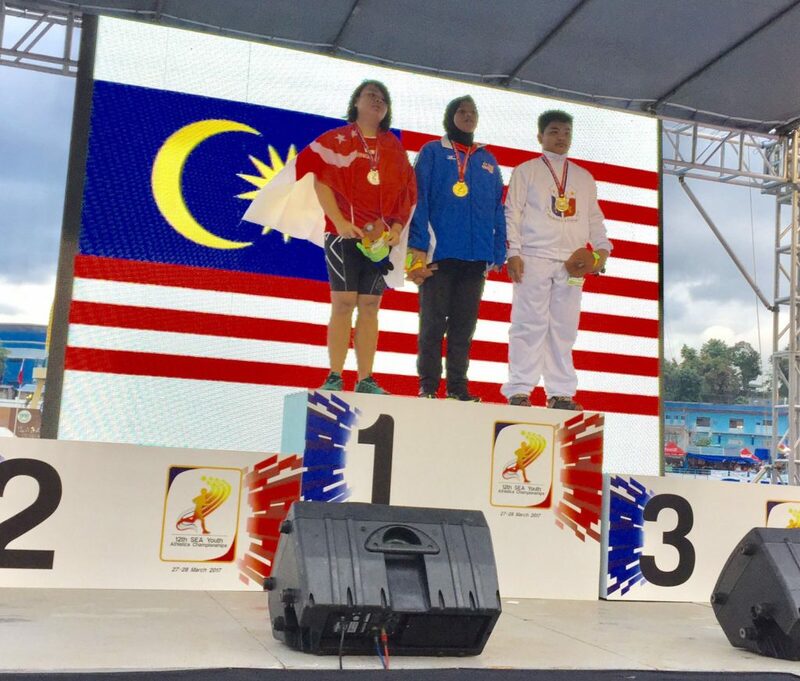 Silver medal by Jasmin Phua (35.77m) in the women discus 1kg. 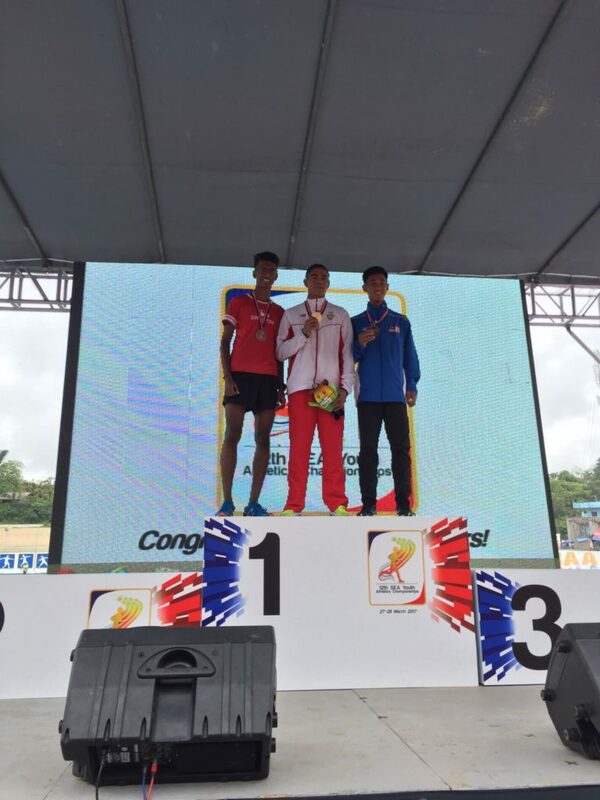 Bronze medal by Thiruben Thanarajan in the boys 400m with a timing of 49.05s. 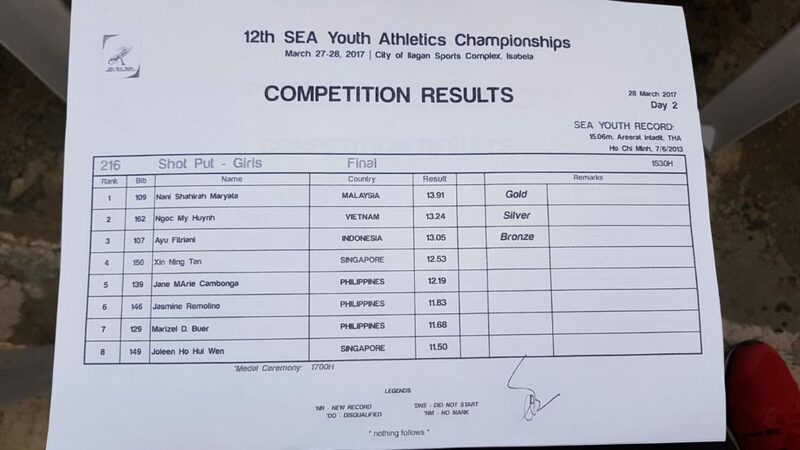 Xin Ning Tan & Joleen Ho finished 4th & 8th respectively in the girls shotput 3kg. 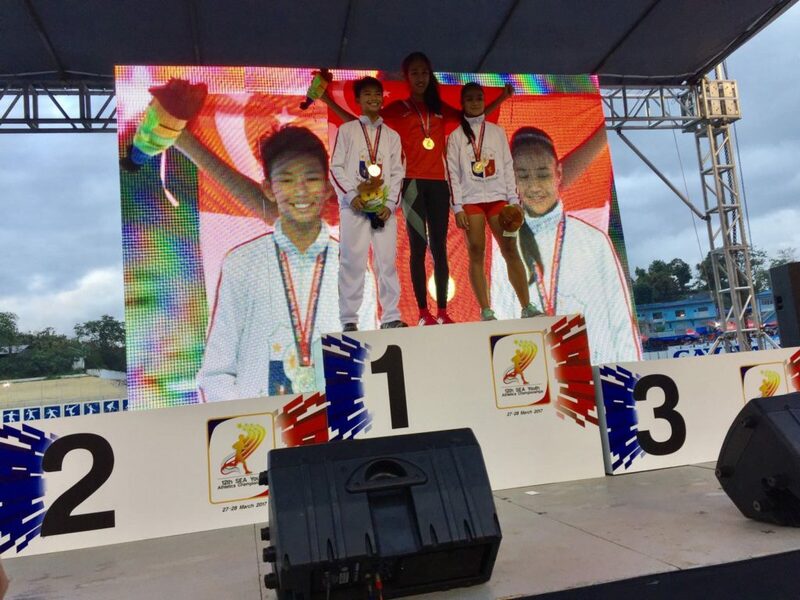 1.56m effort by Tia Louise Rozario in the girls high jump.